FRANKFURT -- German Opel workers' resistance to pay curbs and other concessions demanded by new parent PSA Group has angered unions in other European markets including France and the UK. 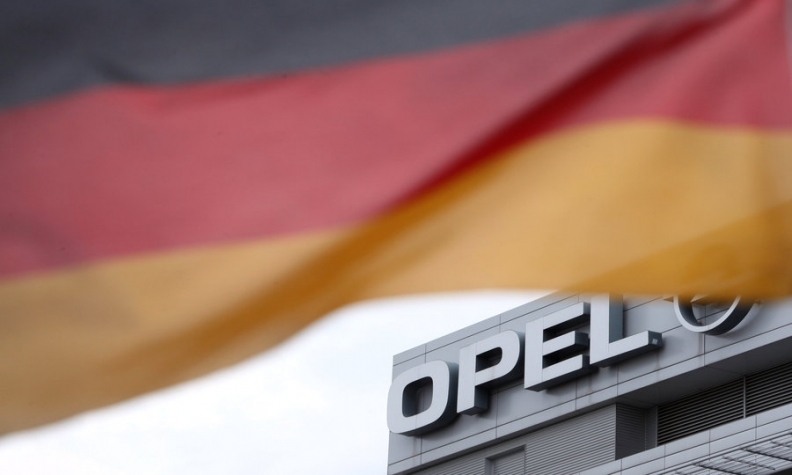 Tensions have mounted since Opel workers in Germany rejected demands that they waive a 4.3 percent pay increase negotiated nationwide in return for PSA’s commitment to assign a new model to the Eisenach plant, securing its future. PSA is demanding pay curbs and other sacrifices from workers in an attempt to restore profitability at Opel/Vauxhall by 2020. Staff at PSA sites in France, Spain, Britain and several other countries have granted concessions on working hours, wage restraint and bonus cuts. Spanish unions in January reached an agreement on worker conditions at Opel's Zaragoza plant, which builds the Corsa subcompact, after threats by PSA to cut investment at the factory. PSA is cutting a third of the work force at Vauxhall's plant in Ellesmere Port, England, sparking fears over the factory's future when the current Astra compact car, which is built there, is replaced in 2020. PSA earlier this month said it would boost commercial van production at Vauxhall's factory in Luton, England. The company praised the "responsible social dialogue" with the UK's Unite union guaranteeing production flexibility. Gary Reay, an official with the Unite union, said Luton workers would also be dismayed if German colleagues avoided making a similar contribution to the recovery of the business. "Our members wouldn't be at all happy," Reay said. "We were unfortunate enough to not get the increase we initially wanted, which would have been above inflation. We had to do what we thought was right for our situation." Assembly workers in Luton have signed off on a 1.5 percent pay increase and hours that can be modified at short notice to meet demand spikes. Force Ouvrier, PSA's biggest French labor grouping, urged Germany's IG Metall union to "take more responsibility" for necessary cost cuts. "They seem prepared to make the rest of the group carry the burden," FO official Christian Lafaye said. "The French unions will not allow their workers to take the weight of a third competitiveness plan." Following the breakdown of Opel pay talks in Germany, PSA suspended a plan to invest in production of a new SUV at Eisenach, which IG Metall said would have safeguarded only half of the plant’s 1,800 jobs. Union negotiators furthermore accused PSA of “blackmail” by demanding wage restraint for its entire 19,000 German work force as a precondition for investment at just one of its sites. "It's not just about the wage deal, it’s about whether we can trust PSA with future agreements," said the top union official at Opel in Germany, Wolfgang Schaefer-Klug. "They are not offering to negotiate, they’re dictating." Klug said PSA's current plant to eliminate 3,700 jobs at Opel in Germany under a program of voluntary departures will save enough cash to meet owner PSA's turnaround target. Some 2,000 candidates have already identified, he said. "I'm not worried about meeting the cost targets," the labor boss said at a press conference on Friday. "The scale of the uptake of buyout offers means it's now a question of whether we have enough staff to manage the current workload." PSA declined to comment on the job cuts target but bosses say a return to profit requires productivity measures far beyond the agreed buyouts. "If only returning to competitive production was as simple as announcing voluntary job cuts - that would be too easy," a management source said. PSA bought the money-losing Opel/Vauxhall business from General Motors last year for $2.6 billion.